One of the best ways to boost your immune system is by incorporating raw garlic and freshly squeezed limes into one’s diet. 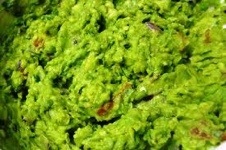 I hate cold season, so I decided to make some yummy guacamole as a dip for our snacktime. I love cutting up a variety of fresh fruits and veggies for my little ones to snack on, throughout the day. I let them pick out what they wanted, buffet style. It was a hit! Raw garlic is anti-bacterial, anti-viral, anti-fungal, and contains healthful antioxidants. Garlic loses most, if not all, of these healing properties, when heated. Eating guacamole is one of the easiest ways to incorporate raw garlic into one’s diet. Wash your avocados. 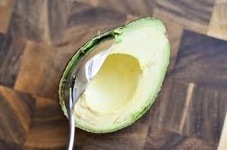 Remove the pits and set them aside to use for growing avocado plants, if desired. Scoop the avocado flesh out of it’s skin. Combine the remaining ingredients and divide evenly among the avocado halves. You do NOT have to fill the hole the pit was in. That may be too much salsa. Adjust the amount for your own personal tastes. 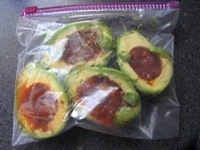 Put the filled avocados into freezer bags. Remove as much air as possible from the bag and seal. Label and date. Throw in the freezer. Use within 4 months. To quick thaw, simply put the unopened bag in a bowl in your sink and run cool (not cold or warm) water over your bag until the bowl is full. Turn off the tap and leave the guacamole to sit. Every five minutes come back to check on it and squeeze the bag gently to mash the avocado and break up the frozen parts. This takes about 15 to 20 minutes. When thawed completely, squish and squeeze the bag until the ingredients are well mixed. kids like to do this part. Empty into a bowl and serve.